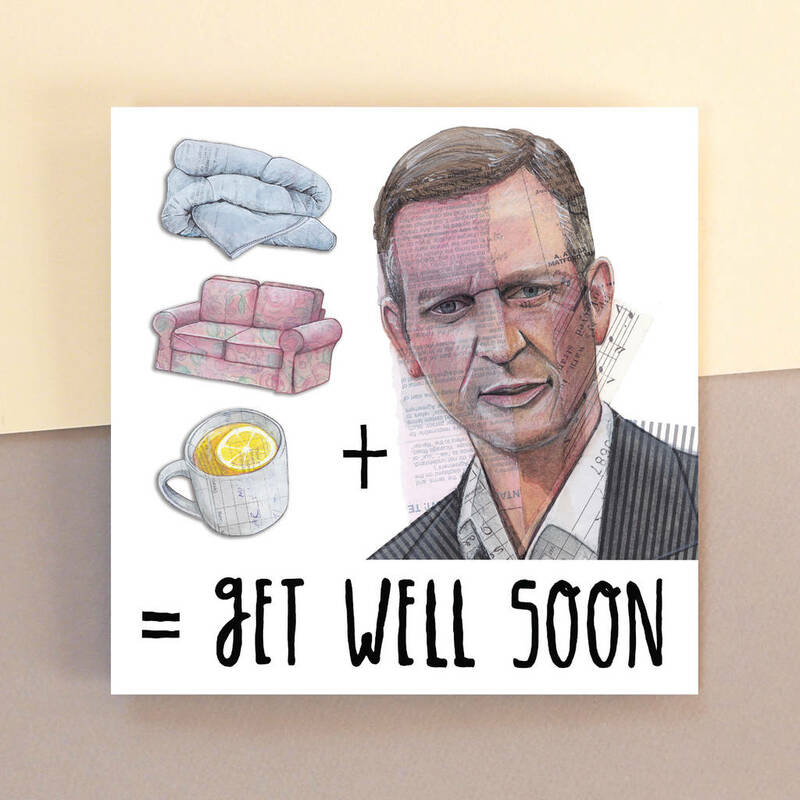 Duvet, sofa and day-time telly in the form of Jeremy Kyle. 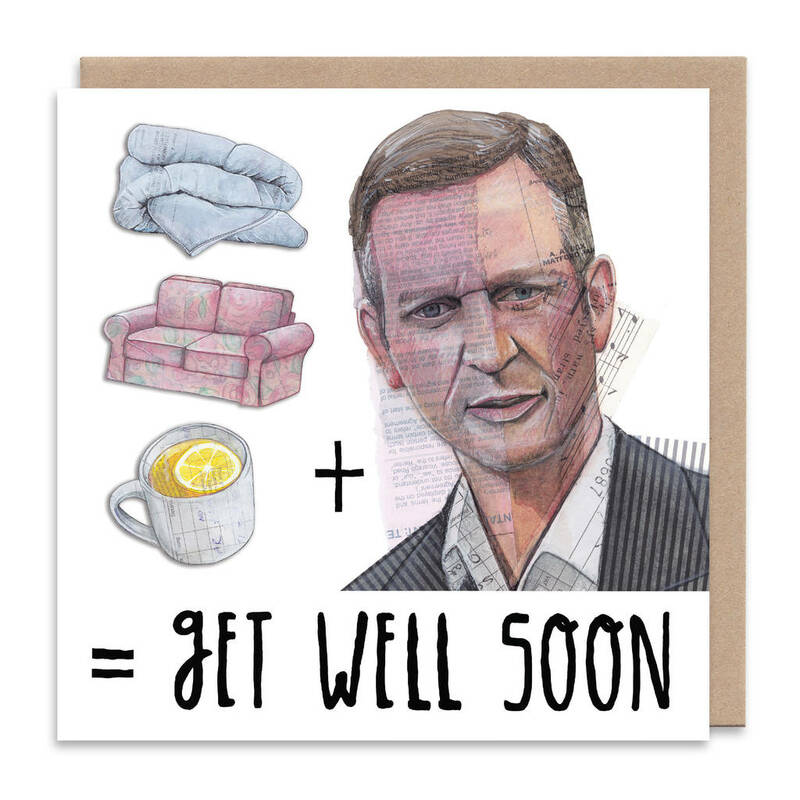 This will make the poorly card reciever feel much better. Blank inside for your own message. Printed on 325gsm uncoated white card Square (148mm x 148mm). Supplied with a brown Kraft envelope and wrapped in polythene. This product is dispatched to you by Angie Beal Designs.